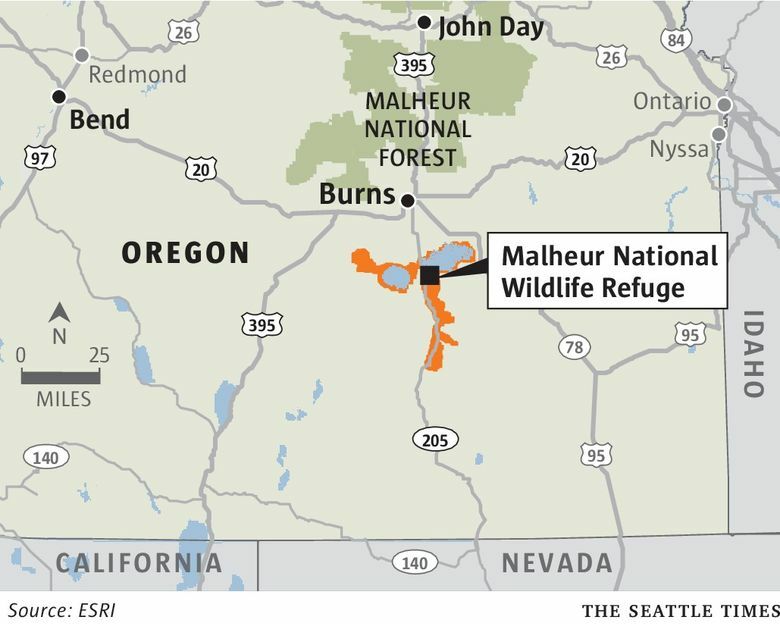 The occupation of the federal wildlife refuge near Burns, Ore., may be nearing an end. But the four weeks of heated rhetoric, threats and occupation of federal property have carved out sharp divisions in this rural, conservative county. 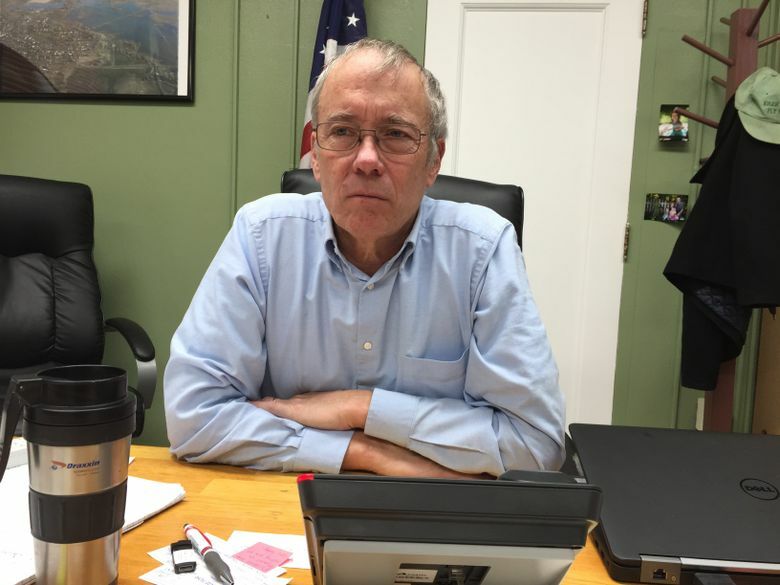 BURNS, Ore. — The occupation of a federal wildlife refuge near here has been a searing experience for Harney County’s top elected leader. He’s endured anonymous death threats delivered by phone and email, and at one point looked out the courthouse door to find armed men standing vigil by the street. But one of the most painful blows was a phone call last week from a man he considered an old friend. It came shortly after the Tuesday shooting by law enforcement that killed Robert “LaVoy” Finicum, an Arizona rancher and spokesman for the militants who took over the refuge headquarters complex. With only four holdouts left at the refuge, Grasty, whose job is akin to a county executive, is hopeful the community can soon begin to heal. That won’t be easy. The four weeks of heated rhetoric, threats and occupation of federal property have carved out sharp divisions in this rural, conservative county. Many residents have bitterly resented the upheaval caused by the takeover that began Jan. 2 and took a dramatic turn last week with 11 arrests and the shooting death of Finicum. Others gravitated to Ammon Bundy, the charismatic occupation leader who is among those now in custody. In the weeks before the takeover, he struck a chord with calls for local control of federal lands and the release of two area ranchers serving prison time on arson charges. A local group that Bundy helped to launch plans to carry on with a series of public meetings and other events. “I think we’re a resilient community. But the problem is there has been damage, I’m not going to deny it,” said David Bohnert, an Oregon State University cattle nutrition scientist who works at a research station outside of Burns. Finicum’s death has driven another wedge in the community, and in recent days stoked fresh tensions in Burns. Some here blame not only the FBI and state law enforcement but also Grasty for the militarized law-enforcement buildup. They have joined in candlelight vigils and a courthouse gathering on Friday to protest his death. The FBI and state police hoped to convince critics that the shooting was justified by releasing a silent video of the shooting taken from an airplane. It shows Finicum driving a white vehicle that tries to skirt a roadblock and plows into a snowbank. He gets out of the car with his hands up, and then reaches for what officials say was a loaded pistol in his side coat pocket before collapsing into the snow. But critics say that — without sound — it’s unclear in the video when officers opened fire. The video has been intensely scrutinized here in Burns. And an organization called the Pacific Patriots Network has urged supporters from across the country to peacefully converge on Harney County to protest law enforcement and demand the resignation of Grasty and the county sheriff. By Friday, some supporters from southern Oregon were already pulling into a local motel, pistols strapped to their hips. The protesters’ anti-government rhetoric prompted officials to encourage federal workers to lie low. Through the occupation refuge employees have been living outside the county, while other federal staff have been working from their homes. That’s made for some lonely times for Oregon State University scientists who share an agricultural research station with federal colleagues. For the past four weeks, they’ve wandered down hallways filled with the empty office cubicles. The research scientists are eager to continue long-standing collaborative efforts with ranchers and other groups to improve Harney County public lands. Just this month, an Oregon state board committed $6 million over the next six years for partnerships to improve Malheur Lake and other wetlands. But with the polarization of recent weeks, Bohnert, the scientist from Oregon State University, thinks it will be harder to expand the reach of the cooperative programs among ranchers who have embraced Bundy’s agenda. The Committee of Safety, which was formed in December at the suggestion of Bundy, drew several hundred people to an emotional meeting in early January to discuss transferring federal land to local control. More such meetings are planned in the weeks ahead. More than 70 percent of Harney County is under federal control. Grasty said Bundy touched on some important issues, such as the need for local input in land-management decisions. But the judge said Bundy held “delusional perspectives” and “didn’t have a clue” about the recent history at the Malheur National Wildlife Refuge. Federal refuge managers have conducted years of discussions with ranchers, tribal members and environmentalists. They came up with a management plan that is supposed to be driven by science from on-the-ground research. That plan has gained support from many of the ranchers who graze their cattle on the refuge. That includes Andy Dunbar, who lives less than a mile from the still-occupied refuge headquarters and who would welcome the return of the federal workers. 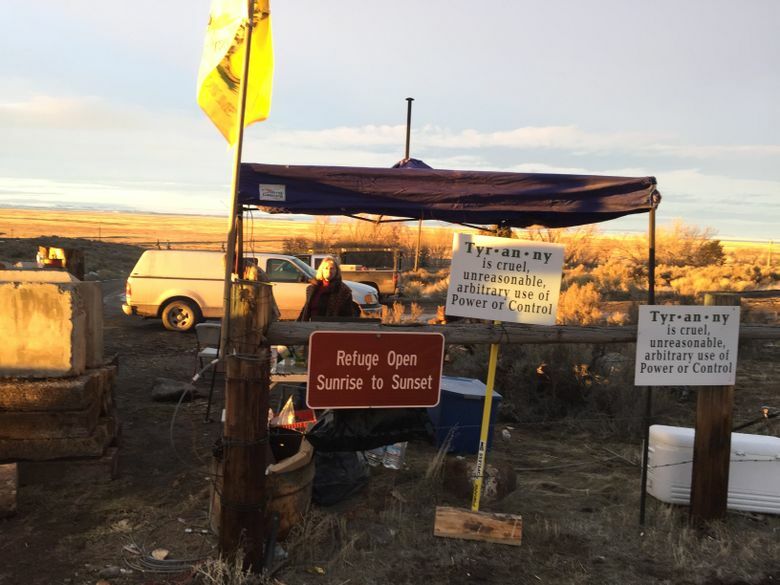 Dunbar endured a tense early morning Wednesday as many occupiers — in the aftermath of Bundy’s arrest and Finicum’s death — fled the refuge. Rather than take the main public road, they drove through his property, riling up the pregnant cows. Finally, Dunbar confronted one driver and asked why they were driving across his property. He was told someone at the refuge had placed a loader as a barricade across the bridge on the main road. And none of the occupiers could find the key to start the loader. In the weeks ahead, that canal will need to be able to carry water. But it’s hard to say when the repairs will happen. FBI agents still are the only federal workers venturing to their workplaces. When the occupation finally ends, the buildings at the refuge headquarters will be considered a crime scene. Federal investigators could take weeks to tally damage and search for hazards. “They got a ton of buildings and a ton of equipment, and they got to look at all of it,” said Grasty, the county judge.